Is Your Prince is Actually a Frog? You’ve been dreaming of a ”true loves kiss and a prince that comes with this” and now after a few dates you think you may have found your Prince Charming. How do you truly know he’s the Mickey to your Minnie? The Donald to your Daisy? The Dole to your whip? 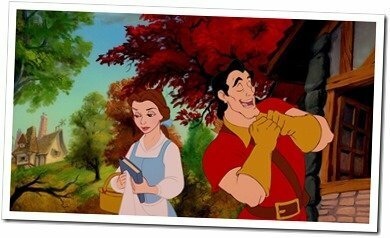 Here are a few clues that he may turn out to be a real Gaston. He won’t take you back to his castle. If you’ve been dating each other for a little while and he still won’t take you back to see his man cave then it could be he already has a queen in the keep. You can tell yourself he’s just embarrassed about how he lives, but the facts are, if a guy likes you, he’ll trust he can bring you home, for better or worse. Let’s face it (I say this tongue and cheek) most guys don’t know its bad until we point it out to them anyway! I once made the mistake of meeting up with a guy I had met online who lived in Europe. I flew over to meet him and after a long and fantastic weekend together, I changed my plans to travel close to the town where he lived. He was more then happy to see me again but I thought it strange he didn’t invite me to his house, although we passed within a mile of where he lived. It wasn’t until I heard him telling some women on the phone “I’ll be home late, love you” that I figured it out. He then had the audacity to tell me it was his housekeeper he was talking to! There’s no talk of “Tomorrowland”. If your Aladdin thinks you may be his Jasmine, then he’ll be openly day dreaming about the future of a whole new world with you. I’m not talking about after the first few dates, but after the first couple months he should be starting to imagine what life might be like with you by his side. Listen for “we” statements like “We should plan to go to Disneyland Paris next year”. I knew I was in for the long haul with my beau of five years when after a few months of dating he started planning trips with me for the following year. Hearing him talk about places we could move to together, and things we could do, showed me he was the Donald to my Daisy (literally since his name is Donald). If your guy is jumping around the issue of tomorrow like Tigger, then it may be time to give him the bounce. He tries to Fast Pass you. I’m sure you’ve heard my grandmother’s favorite saying “don’t give away the cow until they buy the barn.” Okay, so she took it a step further than just giving away the milk, but you get the idea. There’s no fast pass to intimacy. If you’re worth it, he’ll be more then happy to wait in the Space Mountain line of your life. He thinks an acceptable nickname for you is Dumbo and not because you have big ears. Cute nicknames can show affection but not if it’s done in a way to put you down or make fun of you. If he cares about you he’ll call you gorgeous, or Ariel, or, Jessica Rabbit, or something that you both find flattering. You deserve someone who honors you as the beautiful person you are. Don’t be a Dumbo by staying with this guy! Take a page from Wendy’s book and find yourself a grown up. His favorite Disney theme song is “Say it with a slap”. The roles of women and men have certainly changed since the era of Mad Men, Fantasia and Fun and Fancy Free, but unfortunately one third of women still suffer domestic violence in the United States. No one deserves a slap whether you’re female, male, or a bear. If you need help please call the National Domestic Violence Hotline at 800−799−7233. Desire to be in a relationship can often over shadow our ability to see the trees through the enchanted forest. Never make excuses for another’s bad behavior. Honor yourself and you will draw in someone who will honor you. Find someone that makes you feel like Cinderella at the ball because, love is what should make life divine. When I met my partner, I new without any question or hesitation that it was right and what an amazing feeling that was! It was so refreshing after suffering through many horrible relationships in hopes it would get better over time- it doesn’t. Time to start listening to those nagging feelings that this isn’t right. Like Snow White you may be wishing for the one you love to find you today, but have faith; someday your prince will come so put that frog back in the pond! If you enjoyed this post, please re-post it, share it, or send it to a friend. About the Author: Tonya Dalhaus is a relationship communications expert, former stand-up comedian, matchmaker and owner of TheDatingAgent.com. DISCLAIMER: THE ARTICLES, OPINIONS AND VIEWS PROVIDED ON AND BY THE DATING AGENT OR TONYA DALHAUS ARE NOT INTENDED AS MEDICAL, LEGAL OR PSYCHOLOGICAL ADVICE. ALL INFORMATION IS PROVIDED FOR GENERAL INFORMATION AND ENTERTAINMENT PURPOSES ONLY. ADVICE, INTERVIEWS, ARTICLES AND CONTENT CONTAINED HEREIN ARE NOT TO BE USED AS A SUBSTITUTE FOR INDIVIDUAL THERAPIES, PROFESSIONAL MENTAL HEALTH OR MEDICAL SERVICES. AS LAWS, DETAILS AND PERSONAL SITUATIONS VARY FROM PERSON TO PERSON AND STATE TO STATE, ARTICLES AND CONTENT CONTAINED HEREIN ARE NOT AND CANNOT TO BE USED AS A SUBSTITUTE FOR LEGAL, PARENTAL, HEALTH, MENTAL HEALTH, MARITAL OR RELATIONSHIP COUNSELING, CAREER OR FINANCIAL ADVICE.